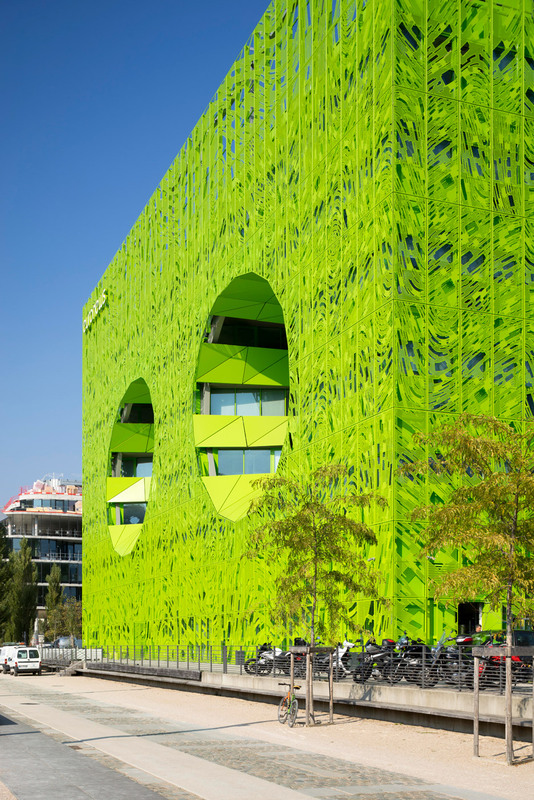 Developed in Lyon’s docklands, Jakob + MacFarlane’s new headquarters for international news channel Euronews functions an acid-green facade punctured by two huge egg-shaped holes . 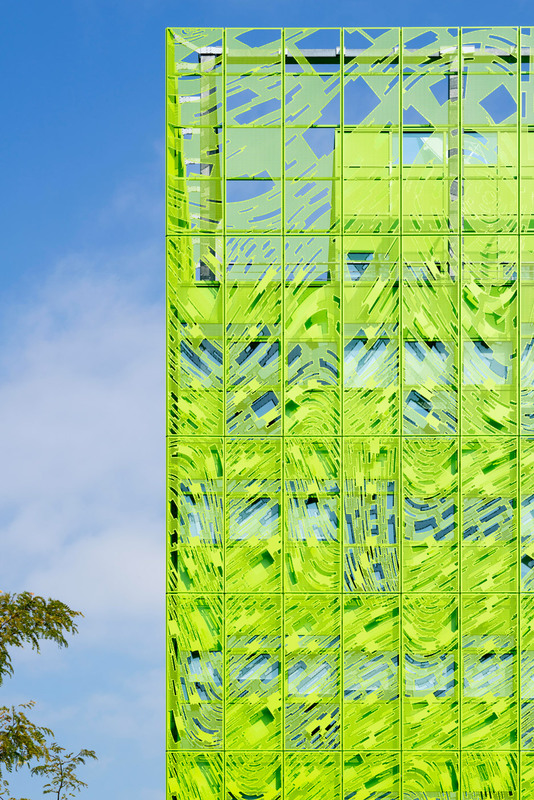 Paris-primarily based Jakob + MacFarlane collaborated with French artist Fabrice Hyber on the waterside constructing. 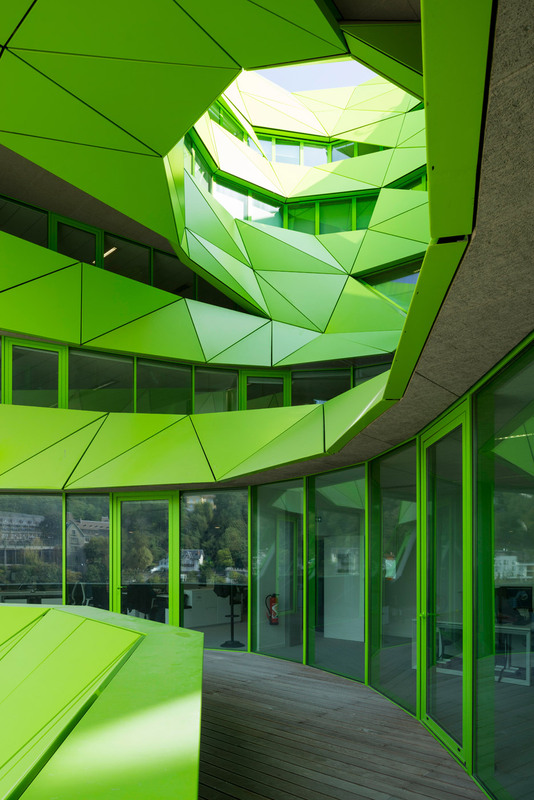 Hyber was accountable for the building’s green aluminium skin, which features a sinuous pattern of openings that let light and air to filter inside. “These are waves, like sound waves or diffusions. But also like individuals of water, or flux,” mentioned the artist. 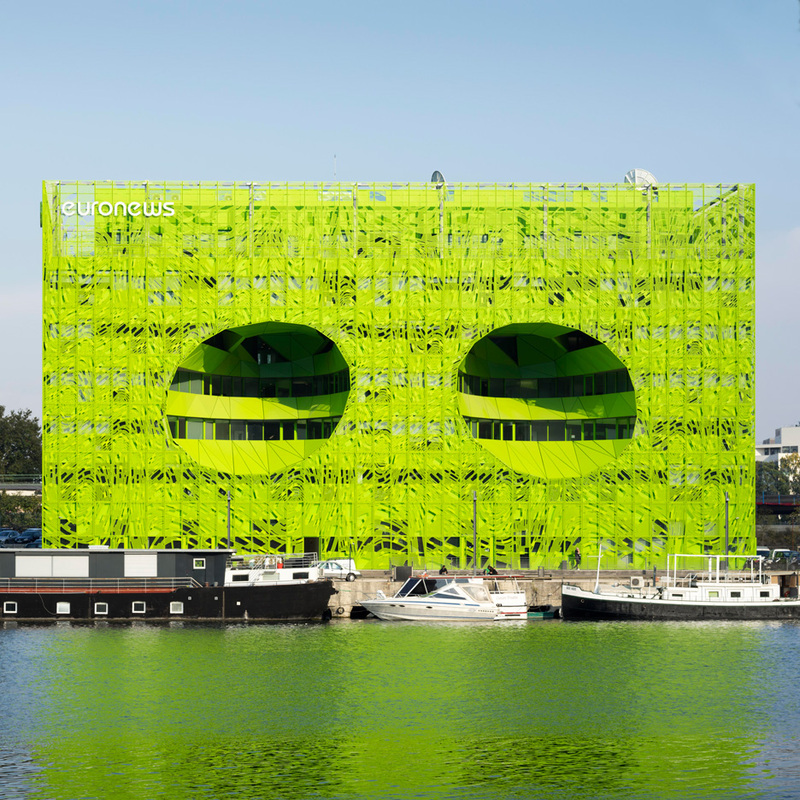 The two egg-shaped cavities in the facade operate as lightwells, which allow air to filter into the offices as well as offering views in excess of the docks. The openings burrow into the heart of the constructing and up by way of the roof. Euronew’s 800 workers are accommodated inside the 10,000 square metres of office space that is split across the building’s six amounts. The media organisation has been based in the city since its launch in 1993 but essential to move to larger premises to accomodate the growth of its digital, mobile and social network departments. The constructing is situated on the Rambaud quay overlooking the Saône river in the redeveloping district identified as La Confluence. 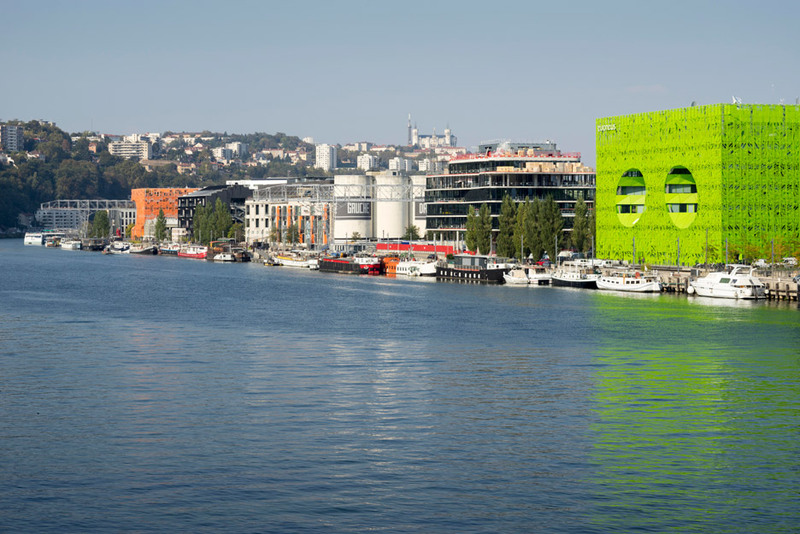 The 150-hectare web site at the junction of the Saône and the Rhône river is undergoing the 2nd phase of its overhaul, as portion of a masterplan by Herzog &amp de Meuron. 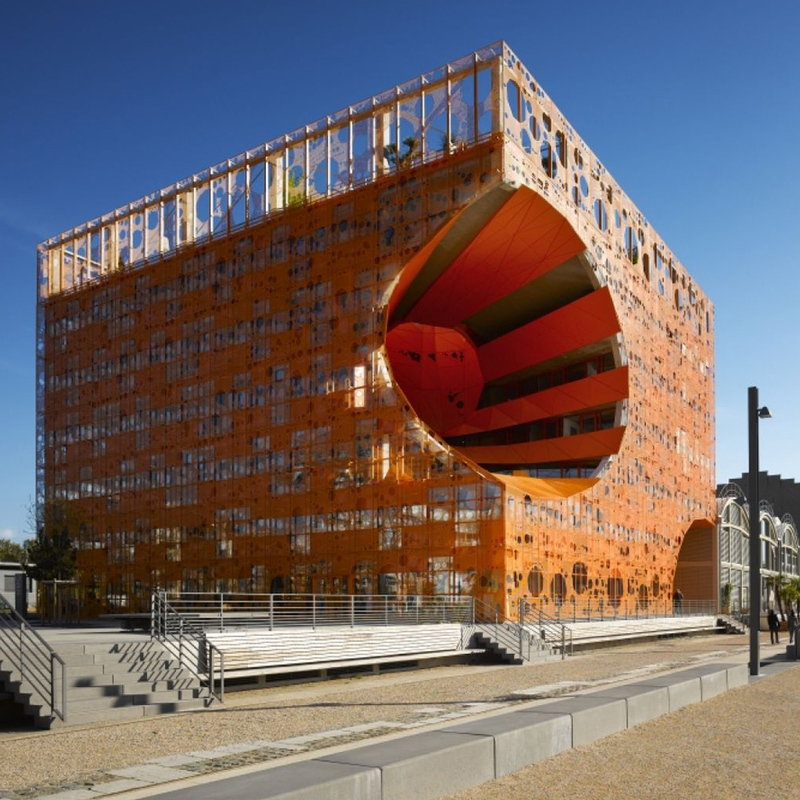 The Euronews Headquarters was planned concurrently by Jakob + MacFarlane with The Orange Cube, an earlier building by the company that features a perforated tangerine facade. 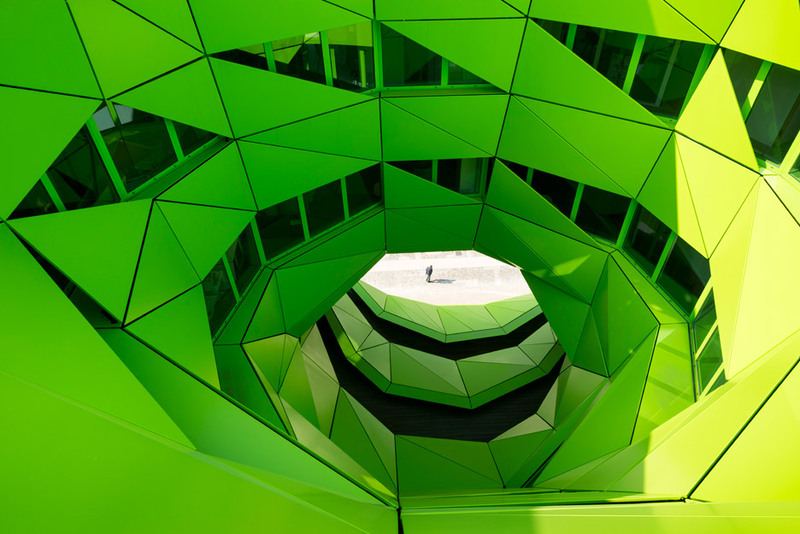 “These buildings are portion of the very same conceptual family, but every exhibits a exclusive morphology,” explained the company. The newsroom, control rooms and recording studios are accommodated on the upper ranges of the developing and have accessibility to balconies close to the two atriums, although a restaurant and lobby are positioned on the ground floor and a auto park in the basement. The lobby connects the quayside with a street at the back of the creating, supplying two approach routes. 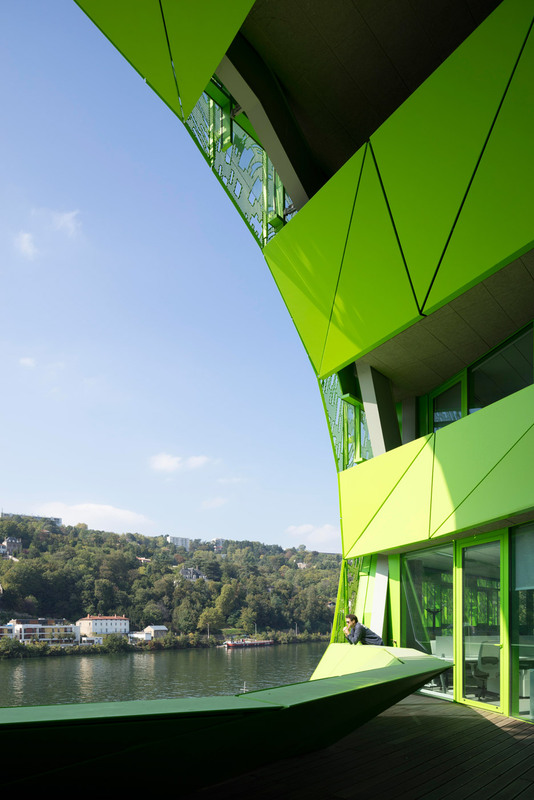 Neighbours incorporate the Musée des Confluences, a organic historical past museum created by Austrian studio Coop Himmelb(l)au and La Sucrière, a former warehouse now utilised as an exhibition space. Photography is by Nicolas Borel.